﻿﻿﻿ For Mikan, there was no better friend than Hotaru (though Hotaru sometimes seems to have other sentiments). They often played together. But Hotaru is a very special child, and she agrees to go to a school in Tokyo which the government reserved only for geniuses. This left a very lonely Mikan at home. When Hotaru fails to keep her promise and come home for holidays, her young friend is very disappointed and rather angry. But upon overhearing a conversation between Hotaru's mother and a teacher, Mikan realizes that her friend's reasons for leaving might not have been what they seemed. So Mikan takes it upon herself to run away and go to Hotaru's school. There she discovers the so-called "genius academy" is actually a school for people gifted with special powers called "Alices";. 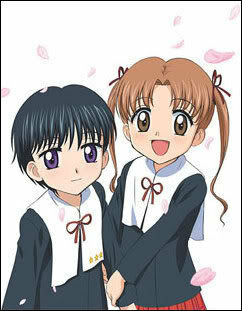 Her friend Hotaru is one of these, and after a chance encounter with a teacher, Mikan suddenly finds herself enrolled. Finally, the two friends are reunited.There Mikan also finds friends, love, and a life that she will never forget. ﻿ Natsume is the male protagonist in the series. He is a genius and likes to ditch class frequently. He is hated and feared by a lot of students and is unhappy with the school. He was paired-up as Mikan's "partner" by the their mostly-absent class teacher, this develops his relationship with Mikan as she is around him all the time and is stubborn despite his initially cold and mean attitude. However, during that time, Mikan (along with her friends) find out that the academy is really built on both secrets and lies. The story has attributes: comedy, romance, drama, fantasy and supernatural. It is ongoing and has 26 episodes but the manga is very involving, the best thing about this manga is the friendship and strong feelings of love among Mikan and her friends. 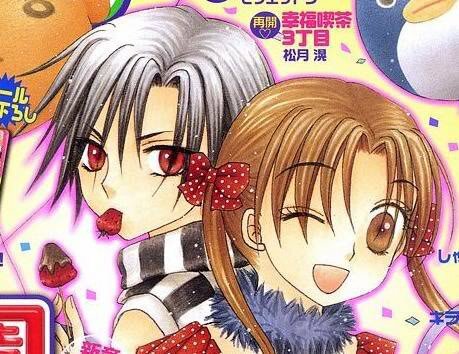 Another unique thing about this manga is that in most mangas main characters are either teenagers or more but in this one they are only 10-12 years old, but thery grow up later. I think I remember reading this when I was little !! The kids were sooo cuteeee.